And so, daily in the evening news this past week, as happens each time Certificates of Candidacies are due at the Commission on Elections prior to election year, we were all shown the usual plethora of crackpot nuisance candidates to either be amused or mortified at. From the tricycle driver who wants to close beer houses to somebody who goes by the name of Archangel Lucifer to still another who vows to push for divine governance, a steady stream of personalities eager for a moment in the limelight was flashed straight into our living rooms. One wonders, of course, why producers of the evening news even think they are worth airtime before a national audience. That is just democracy for you, perhaps preferable over other alternatives but still essentially a very flawed form of government. History books tell us that this form of government traces its roots back to Ancient Greece; and that the word democracy is derived from the Greek words demos, meaning people; and krátos, meaning power. 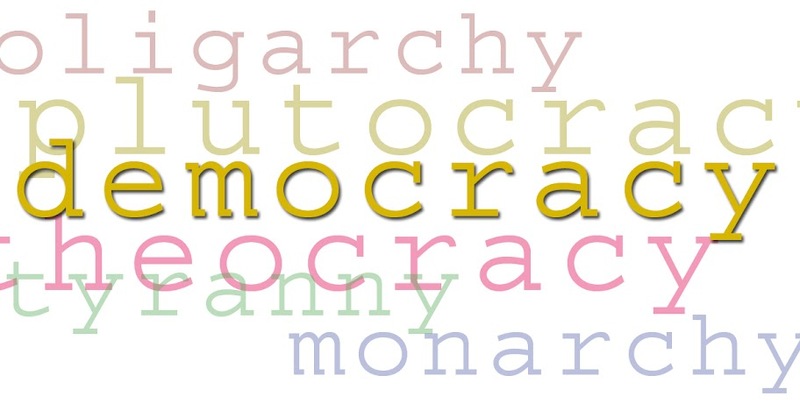 Implicit to the term democracy, of course, is the notion that, as a form of government, the power resides in the people. This is somewhat misleading because in truth, power resides in the majority rather than in the entirety of the citizenry. Hence, essentially a democracy is a form of government that rules according to what is popular at a given point in time. It goes without saying the popular does not necessarily translate into right. Because a democracy is populist in nature, even modern states that employ this type of government have few limitations to restrict citizens who wish to seek public office, which is in fact in a democracy regarded as a basic right. Hence, you get the crackpots who are delusional in thinking that they are qualified for the Office of the President in this country. That said, the constitution itself guarantees that they are free to engage in their respective individual delusions. a resident of the Philippines for at least 10 years immediately preceding the election. possession of an NBI clearance. This is no way intends to be condescending towards security personnel; and the comparison is made just to drive home a point. The truth of the matter is that a person who qualifies to become President of the republic may not even be qualified to become a security guard. In fact, for even many start-up jobs, government licensure is required even of fresh graduates: LET for teachers, CPA for Accountants, medical and nursing licensure for doctors and nurses and engineering licensure for the various engineering fields. have the intent of confusing the voting public by the similarity of names of the registered candidates. Naturally, even the election code will simply take matters from the general directions set by the constitution and is of course likewise remarkably silent in the matter of qualifications. Yet, what is undeniable is that the highest elected office of the land does indeed require specific qualifications if at all we are to make some semblance of order in this democracy that is ours. The President is the Head of the Executive Branch and is therefore in charge of the Cabinet and various departments of the branch. One does not have to be an expert in various fields to be able to make sound decisions, as indeed expertise is provided by those who occupy the Cabinet. Instead, what is really required of a President is background and experience in Management, preferably in a public administration sense. By default, a strong understanding of law and finance will be an advantage. Because the President is the Commander-in-Chief of the Armed Forces, it goes without saying that some military training or understanding of the military organisation will also be an advantage. Because the President is also the face of the nation, then public speaking skills are mandatory. Since the Philippines belongs to an international family of nations, it goes without saying that diplomatic skills ought to be mandatory as well. If the Commission on Elections functioned like the Human Resource Department of a well-oiled corporation, then its filtering of candidates ought to be based on how their qualifications may stringently allow them to fulfil the functions that will ultimately be required not just of the Presidency but also of other public offices as well. Of course, this is not the way a democracy works, even in advanced nations such as the United States and the United Kingdom. Democracies are inclusive rather than exclusive; and what people so desire at any given point in time, whether it is right or not, will always be its essence as a form of government. For all its faults, however, democracy does respect human liberties in a way most other types of government do not.